A marbled blue cheese with full, decisive and intense flavor; semi-hard with raw paste. The natural rind is thin, rough, reddish-brown. The paste is firm and compact with streaks of white and blue-green diffused. It is best served at room temperature with liqueurs, sweet white or red wines. It blends harmoniously with warm or cold polenta and some fruits, especially figs, pears and grapes. Gorgonzola has ancient origins and is one of the most popular Italian cheeses throughout the world. It is thought that Valsassina is the area of origin of this precious cheese. 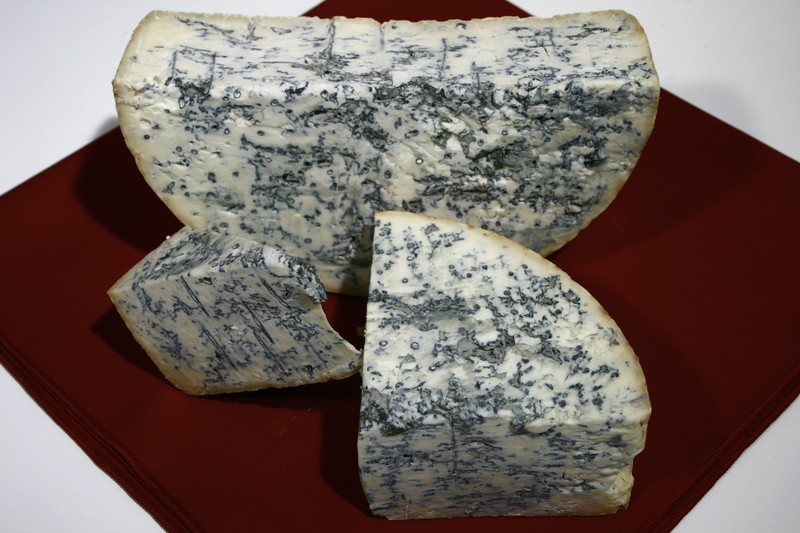 Alpiblue Gorgonzola DOP piccante is recognized as protected designation of origin (PDO/DOP). Produced by artisan-style, family-run dairy business Gildo Ciresa in Italy. Click here to find out more. Ingredients: pasteurized whole cow`s milk, rennet, salt. Maturing process is over 100 days. Store in a refrigerator at + 4 ° C.